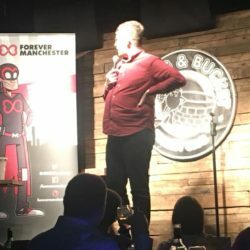 Over 100 Greater Mancunians descended on the legendary Frog and Bucket comedy club on Wednesday 9th May for #ForeverFunny18 and helped raise over £1,559 for Forever Manchester. 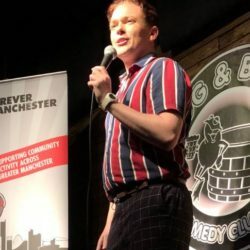 We’d like to say a huge thank you to comedians Chris Washington, who spoke of his fondness for Lego; Stephen Bailey who told an amusing tale of recently going on holiday with his parents; and Canadian Allyson June Smith, who craved to have a stalker called Kevin! Together they entertained the crowd for over 2.5 hours in what was a thoroughly enjoyable evening. 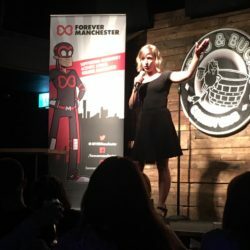 We’d also like to say a big thanks to the Frog and Bucket for providing the venue free of charge as part of their ongoing support of Forever Manchester. 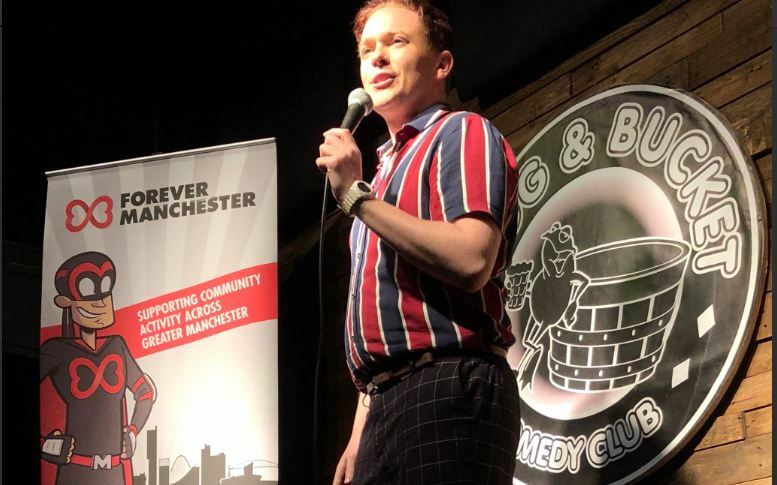 Compering the night was Manchester’s own Jay Hampson whose a regular on the comedy circuit himself, but the biggest cheer of the night went to Forever Manchester’s Claire Lawless who’s comedy challenge raised £539.50. 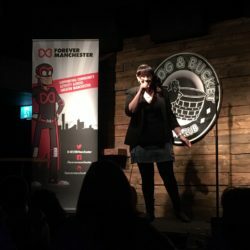 Claire, who had never done any form of stand up comedy before had undergone a 8 Week Comedy Course courtesy of the Frog and Bucket. She has been documenting her progress through a three part podcast series which you can listen to below. 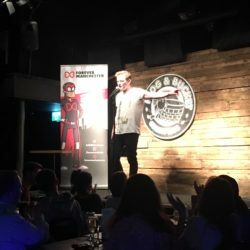 Her 5 minute set which included tales of bringing up her ginger son, resulted in her getting a standing ovation at the end. Nice one Claire! 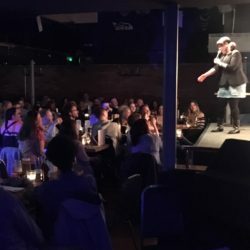 Click here to make a donation to Claire’s Comedy Challenge.